Thank you for your support during this difficult time. Please enhance this tribute to John by adding your memories and photos. 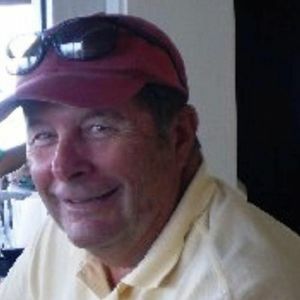 John M. Quigley, 73, of Seabrook Island, SC husband of Pat Wilson Quigley passed away peacefully surrounded by his family on Thursday March 7, 2019. His Mass of Christian Burial will be held Friday, March 15, 2019 in St. Patrick Catholic Church, 134 St. Philips Street at 10:30 a.m. Arrangements by J. HENRY STUHR, INC., WEST ASHLEY CHAPEL.Born on September 13, 1945 in Astoria, Queens, NY John is the son of the late John Aloysius Quigley and Marguerite Kilcourse Quigley. He grew up in Westbury, NY and was a U.S. Army Veteran of the Vietnam War where he served as a photo journalist. Hegraduated from New York Institute of Technology with a Masters in Labor Relations in 1982. His employment included Gimbels Department Store, Canteen Corp., and Mill-Max Corp. During this time he volunteered and sat on the Board of The Mill NeckSchool for the Deaf. When John was in his late 50s, he embarked on a brand new career. He found his dream job as a business teacher at Brentwood HS, a large district with a diverse student population. He often described it as the best job he ever had. John enjoyed sailing, golfing, photography, cooking, coaching lacrosse, and being a lacrosse referee. After Hurricane Katrina, he went to New Orleans where he volunteered for five years with Habitat for Humanity and helped build houses. After moving to Seabrook Island, he took courses at the College of Charleston, volunteered at the Charleston VA Hospital, joined the St. Patrick's Church Choir, and participated inParkinson's Research Studies.He is survived by his wife of 45 years, Pat Wilson Quigley of Seabrook Island, SC; daughter, Katie Quigley of Huntington, NY and son, Sean Michael Quigley of Hawaii. He was preceded in death by Jacob, his English Cocker Spaniel. Memorials may be made to The Michael J. Fox Foundation. Website: michaeljfox.org or The VA Hospital Volunteer Office, 109 Bee Street, Charleston SC 29401. My deepest sympathies to Pat & Family. John was an extra special person. His smile infectious and his kindness & generosity something we all should replicate. A truly kind and loving soul, John will be missed by so many. We were blessed to have had him as our neighbor for many years when I and my family lived on Gilbert Street. Pat, Katie and Sean, I pray that all your fond memories will be a salve to your sorrow and that you may feel the compassion and love of God that surrounds you in your grief. Love, Midge. I am so sorry to hear about your father. He was a very nice man. I still remember so well as a child. I am so sorry for your loss. He will be missed. I was so sad to come across the notice of John's sailing over the shoal. I fondly remember our many talks about sailing and racing on LI Sound. And I had Katie on Owl's Nest IV for a club race a couple years ago. John was a fine man and a good friend - we will all miss him. Our thoughts are with you in this time of loss. John was a lovely, caring person and always ready with story to tel. I know this is a difficult time for you all. We are so very sorry for your loss. Know that we keep You all in our thoughts and prayers. Life Stories provides friends and families a forum to post their favorite stories and memories of John M. Quigley ensuring the precious experiences are never forgotten. Share joyful times, post a photo that captures the moments you cherish, and allow others to reply, relive and remember.